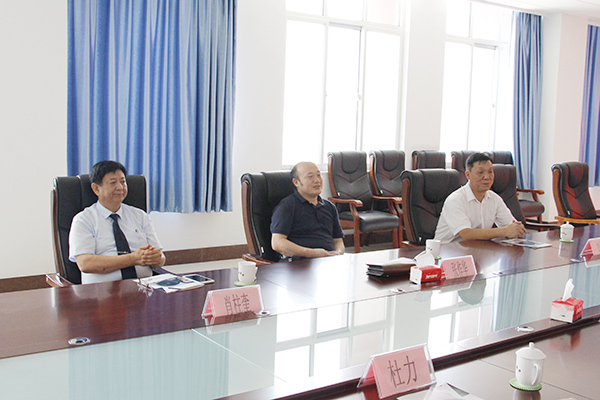 On the morning of July 21, Dongfang Wenbo Cultural Development Co., Ltd. Deputy General Manager Zhang Zuohua, and other leaders visited China Transport and visited Shandong Guyuan Film & Television Co., Ltd., on the in-depth cooperation in the field of film and television culture and creative industries. China Transport Executive Deputy General Manager, Jining Film Industry Association Director Han Yong, Jining Film and Television Industry Association Director, Vice Chairman of the Directors Committee of Jining Film and Television Industry Association, China Transport Deputy General Manager Fan Peigong, Office Director Zhu Xi, Shandong Shenhua Technology Co., Ltd.General Manager Du Li And Shandong Guyuan Film And Television Co., Ltd.General Manager Chen Kedong accompanied by the leaders. 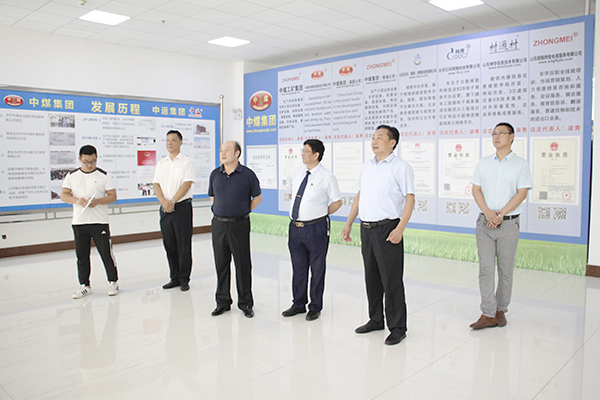 Accompanied by General Manager Han, the visiting delegation visited the China Transport Corporate Culture Exhibition Hall, e-commerce company, cross-border e-commerce company, Gu Yuan Film and Television Company, Shenhua Technology Company, Yuangu Tourism Company, information promotion company, etc. 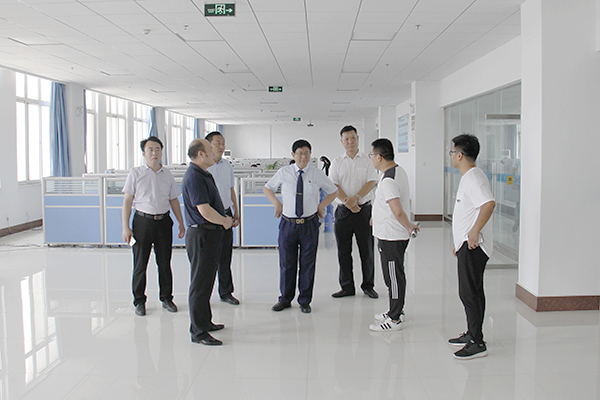 During the visit, Mr. Han gave a detailed introduction to the development achievements of China Transport in e-commerce, cross-border e-commerce, intelligent manufacturing, high-tech UAVs, etc., and highlighted the Group’s film and television culture industry, software development, etc. The successful experience in the field has been fully affirmed by the visiting guests. At the symposium, Chen Kedong, general manager of Shandong Guyuan Film and Television Co., Ltd. gave a detailed introduction on the company's development, business model, market operation direction, future planning, etc., and was highly praised by the visiting guests. Subsequently, the leaders of the two sides conducted in-depth exchanges and discussions on the next cooperation mode, promotion and online and offline platforms, and in film and television production, 3D video, drone aerial photography, VR scene shooting, performing arts resources integration, micro Initial cooperation intentions have been reached in various fields such as film shooting. At the meeting, Mr. Zhang said that Oriental Wenbocheng Culture Development Co., Ltd. has signed an agreement with CCTV to form a special column for the Oriental Show. The visit hopes to increase cooperation and service with Guyuan Film and Television Co., Ltd. All-round cooperation in brand promotion, operation services, etc., the two sides have complementary advantages, resource sharing, and strong alliances to better enhance the visibility of both companies in the film and television culture industry and achieve a win-win situation for both companies' development! Mr. Han said that as a new starting point for China Transport to enter the cultural and creative industry, Guyuan Film and Television Co., Ltd. is pleased to have the opportunity to strengthen cooperation with Oriental Wenbocheng Culture Development Co., Ltd., and we will invest more resources in the next step to enhance the Group. The market share of the cultural film and television industry, improve the ability of industrialization of derivatives, maximize the synergy effect of the cultural and film industry chain, and make positive contributions to the development of China's film and television culture and creative industries! Previous: Congratulations On The Establishment Of China Transport (Yantai) Intelligent Technology Co., Ltd.